If you have been charged with a crime, you need to be proactive in contacting an attorney who is responsive to not only your needs, but also that all-important, first telephone call. Time is of the essence, both for you and for me. At The Law Office of Daniel D. Kienker, LLC, I pride myself on being accessible, starting with your initial call, which I return immediately. Charged With Robbery In Lexington, South Carolina? I Can Help. For 26 years, I traveled the world while on active duty with the United States Air Force, commanding three combat-rated squadrons. Upon retiring in the grade of full Colonel, I decided to pursue a career as an attorney. 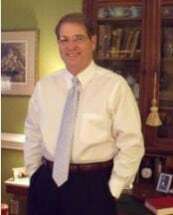 After graduating from the University of South Carolina School of Law, I started my practice of the law in 2000. In defending my clients charged with crimes, I bring those same skills and work ethic I employed during my military career; dedication, hard work, and focus on mission accomplishment and being there for you. In addition to my military background, I also possess insight as a former prosecutor for Union and Richland counties. That experience provided me a much-needed, in-depth knowledge of the criminal court process on the opposing side. Military personnel charged with criminal offenses in the Columbia area face serious consequences for robbery, property crimes and other criminal charges. However, area military personnel at Fort Jackson and Shaw Air Force Base also face the end of their careers. Arrests for assault or auto theft can result in not only prison sentences, and criminal records, but also dishonorable discharges. Effective and successful legal representation comes from being a good listener. At your initial consultation, I will let you tell your side of the story, uninterrupted. From there, I move forward with tailored strategies in pursuit of the best outcome.